Greenwood Plenty Dental Care, the most outstanding dental clinic, is the preferred destination for patients seeking endodontics and root canal treatment in Bundoora and nearby suburbs. With years of experience, our endodontists can treat dental pulp diseases and help you maintain good oral health. When your tooth pulp becomes inflamed or infected, you may experience unbearable tooth pain and other uncomfortable symptoms such as tooth sensitivity, discomfort when chewing, swelling near the tooth and fever. When you have these symptoms, we recommend you to get endodontic procedures done to treat dental infection and protect the stability of your tooth. 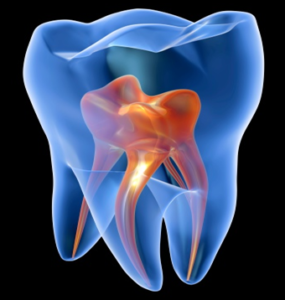 Our endodontists perform root canal therapy to remove infected pulp and prevent discomfort and death of the tooth. During the procedure, we will remove the affected tissue, clean the root canal and fill it with an inert material. The tooth is then sealed with a porcelain crown to prevent further infection and protect the tooth structure. We always use porcelain crowns to ensure that it looks and feel like a natural tooth. Our dentists endeavour to ensure the comfort of our clients, so we will begin the endodontic procedure by administering a local anesthetic. Would you like to schedule a consultation with our endodontist? Call us on 03 9466 7843 and talk to one of our friendly staff!